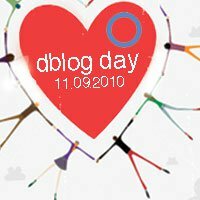 I had all these great plans for D-blog Day 2010. Yup, I thought up the requisite "six things" I want people to know about Diabetes and was more than prepared to present them on this here blog. My good intentions never stood a chance after my day at work. Today, I had one of the most exhilarating days of my life, and suddenly the six things I had been pondering seemed so insignificant, so cliche. Of course I want people to know that I can eat sugar, that I will not be "cured" with diet and exercise, that Diabetes is more than just a physical disease.....but today, there is only one thing I think people MUST know about Diabetes: I can. I can....defeat the FAA's crazy flight physical hoop-jumping. I can....suit up in my nifty little flight suit. I can....jump in the back of an experimental Chinook. I can....sit in a room full of men and feel comfortable. I can....write copious notes while flying in the wake of a KC-130 during Helicopter Aerial Refueling. I can....do all this with Type 1 Diabetes. I think that's all you really need to know. I always knew you COULD!!!! !